Heart today’s comic on Webtoon. Thanks. 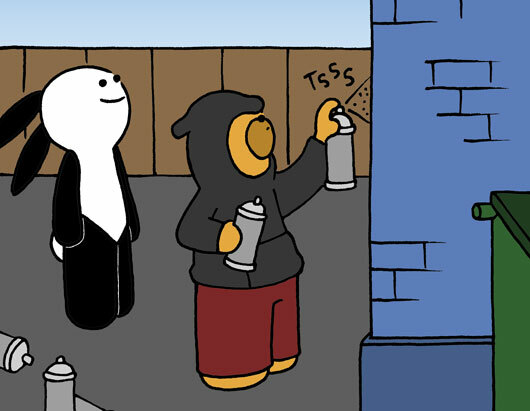 Check out today’s comic on Webtoon. Heart today’s comic on Webtoon and give it a good rating. Thanks! New exclusive Buni comics update every Sunday on Webtoons.com! Give Hapi Buni a good rating. Share it with friends. 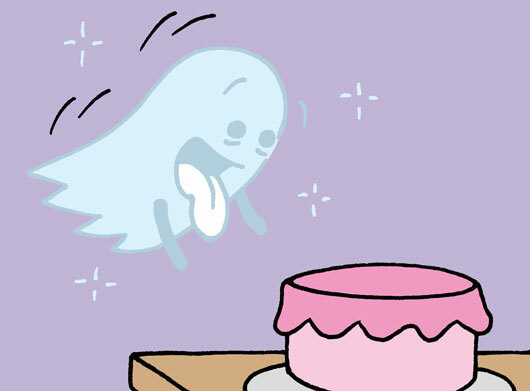 I’ll continue to update Buni comics here at bunicomic.com every Monday, Wednesday and Friday. Thanks for reading Buni! For new readers, here’s a little background on my comic strip Buni (pronounced like “bunny”). An idea for a visually cute – yet twisted and sad – comic had been rolling around in my mind for a few years. What emerged was a snaggletoothed cartoon bunny which I started publishing online in 2010. Buni inhabits a world populated by teddy bears. Don’t ask me why. It just kind of happened that way. I also didn’t plan to create a dialogue-free pantomime comic. The first comics didn’t have words in them, so I made the next ones wordless too. Then it became Buni’s thing. I added a one-sided love story with a neighbor girl who obviously has a boyfriend and is uninterested in Buni. Eventually Buni’s cynical father, BuniDad, moved in with him to counter Buni’s optimism. Then Dogi (AKA BuniDog) joined the comic. He’s based on a real live dog I saw late one night strolling the street in a makeshift wheelchair. I update the comic on Mondays, Wednesdays and Fridays. 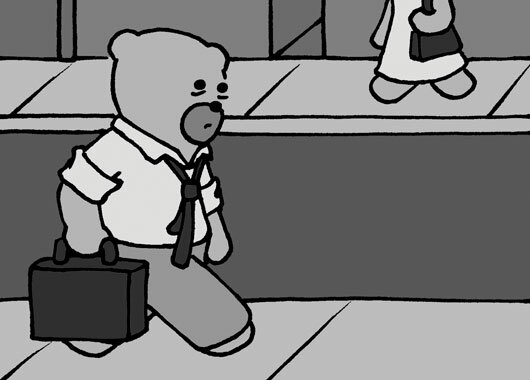 A naive optimist with terrible luck, Buni is constantly being crushed by the real world. The girl he loves, loves someone else. And his best intentions never seem to work. Yet he wakes up each day, hoping for the best. Buni’s father is the opposite of Buni. He’s cynical. Never shaves. And smokes, even when he eats and sleeps. He’s also obsessed with bacon and turning anything he can into an edible meat. Despite using a wheelchair, Dogi manages to protect Buni, impress the ladies and save the world like no other dog can. 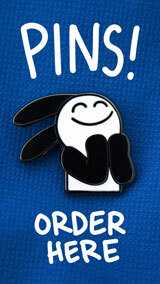 She is the object of all of Buni’s desires, even though she clearly has a boyfriend and is uninterested in Buni. Buni explores outer space in this new animated short drawn and animated by Martin Kučar. 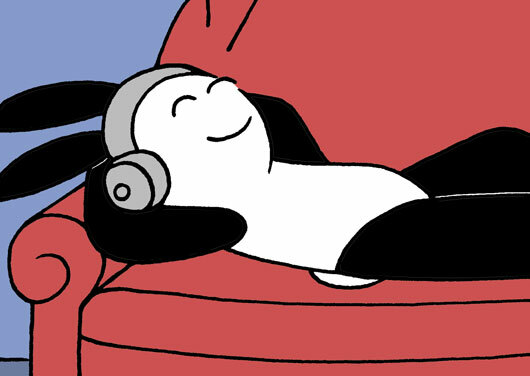 For more of Buni’s adventures in space, check out these Buni comics here and here.